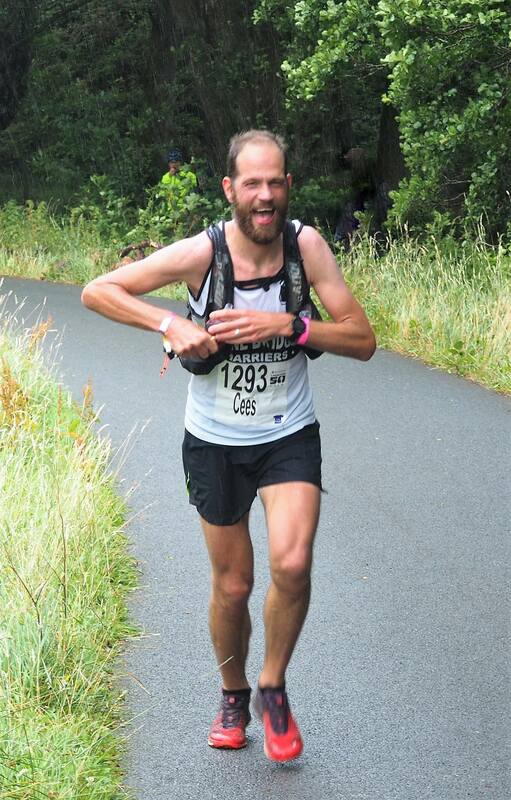 Lakeland 50 race report and why you can run an ultra. 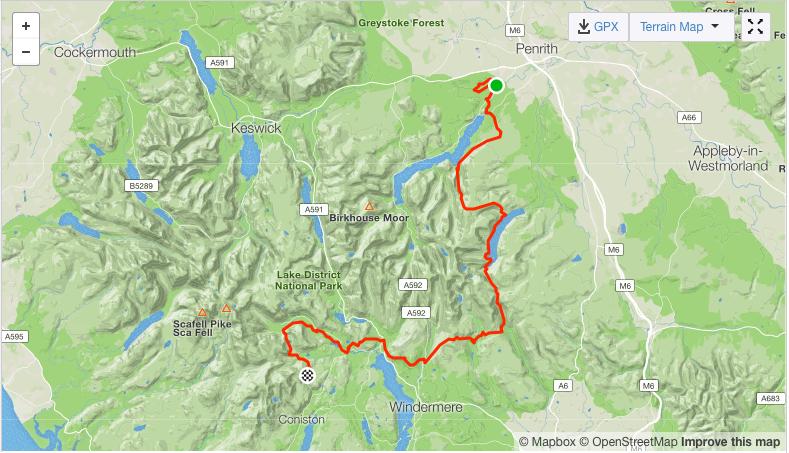 Just back home from Coniston on Sunday night, here is little write up on the run I did from Dalemain to Coniston on Saturday the 28th of July. For me, 2018 was supposed to be all about collecting UTMB points in order to qualify for the Ultra Trail du Mont Blanc 100 miler in August 2019. I’ve only recently dipped into running distances longer than 26.2 miles, but the UTMB has been on my mind for a long time. 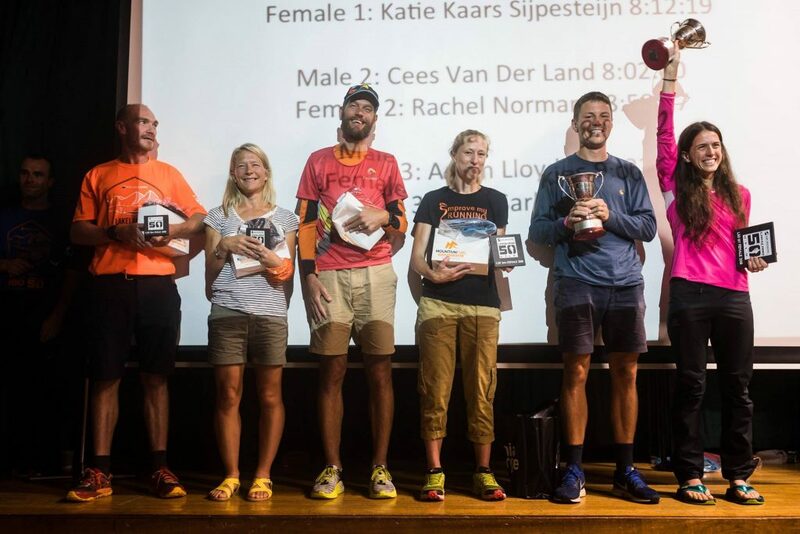 A 100 mile trail race around the Mont Blanc massive, crossing three countries with 9600m of climbing! 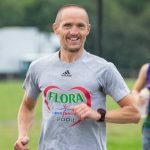 To even be allowed to enter the lottery for the 100 mile event, you need 15 points across 3 races. Ultra race organisers across the world need to pay a fee and have their course accredited by UTMB in order to be allowed to give 3 to 6 points for the race, depending on the difficulty. Yes, the French like to make things complicated… By running the White Rose ultra 60 in November 2017 I gathered 4 points already, followed by 6 points for running 108 miles in Portugal last June. However, while planning races for 2018, the Lakeland 50 and 100 miles events popped up. Having heard many stories about these races and how amazing the organisation is, I decided to sign up for the 50. Despite them not buying into the UTMB scheme, so no points to be collected. After the London 2018 marathon (was ill, too hot, let’s not talk about it ever again) training moved to the trails to first prepare for the 108 miles in Portugal to be followed by the Lakeland 50. There were only eight weeks between the two races, which, after recovery and some tapering didn’t leave me much time for a decent training block. As the course is unmarked I joined an organised recce of the first 2/3 of the course at the end of May and did a solo recce of the final 1/3 the weekend before the race. In the beginning training felt sluggish, still recovering from the 22 hours of racing in Portugal, but two weeks out I was convinced that I was in good shape. A couple of back to back 20 mile training runs on trails really helped. The weather predictions looked good (more on this in a bit), there was a great buzz on the facebook page, so I was excited to get to the Lakes! Our little family drove to Coniston on the Friday, had my kit checked and picked up my start number, map and wrist band with chip to be dipped at each checkpoint. 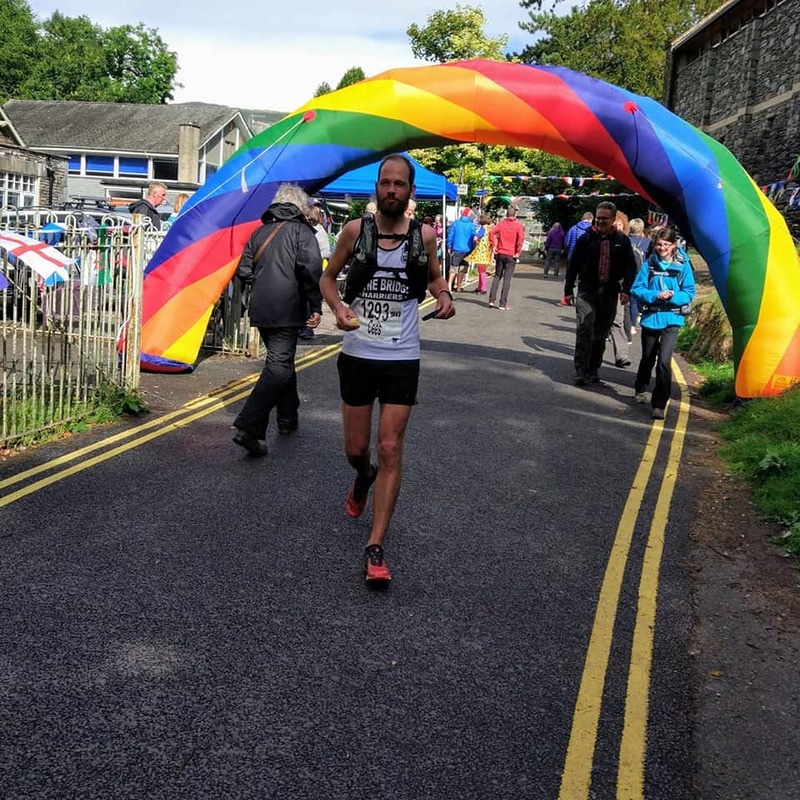 The event takes over the entire football field of the Jon Ruskin school football fields, the same place that is used for the Coniston 14 mile race, a TBH favourite! Two big tents, portaloos, showers, a big finish arch, several food, coffee and beer options and all the competitors’ tents take over the entire place. Great atmosphere and it had a real festival feeling to it, as also noted by my non-running wife, she loved it! We watched the start of the Lakeland 100 on Friday as they set out for a long loop of the Lakes. The start of the 50 on Saturday is Dalemain at the NE end of Ullswater, near Pooley Bridge. Buses were available to transport runners there, we drove there ourselves. The start line was also a check point for the 100 mile race, watching runners come through getting loud cheers from all the people there was great. Pre-race nerves were starting, went for about four non-essential toilet breaks, the usual ritual. As I dipped my wrist chip into the reader at the start pen I was now officially registered as starting. My mind went over the race plan. Up until a week before my ambition was to set out on a similar pace as the course record. With the weather changing dramatically on Friday, that goal was out of the window. The route runs from east to west, and there was a 50 mile long headwind, stronger on top of the hills. My slightly altered race plan was to stay within sight of the race leader until the first checkpoint at Howtown (about 10ish miles?) and really start pushing from Ambleside onwards after 35 miles. A large part of the section after Ambleside is flattish, and the recce the week before made me think I could run well there. At 11:30 all 826 runners for the Lakeland 50 were off! 91% of them would make it to the finish in Coniston (only 51% of the 100 mile runners made it, showing how much harder that event is). The 50 route starts with a loop around Dalemain estate. As this part of the course cannot be recced, a marshal was running ahead of us to show us the route. One runner already took a 200 meter lead here, even overtaking the marshal at one point. I did as planned, and kept him within sight. In hindsight starting a 50 mile run with sub 6:30 miles might not have been the best, but hey, the legs felt good! I slowly reeled him in over the next miles, the route until Howtown is quite runnable and by the time we arrived there we were running together. The checkpoint is an out and back, so we saw the 3rd placed runner close behind us. From Hotown at Ullswater the route turns south to a steep 500 meter climb onto High Kop. After leaving Howtown we missed a turn off to the right over a small bridge, in the three seconds it took us to realise this and turn around we had been over taken. I was now following the new leader and man, this guy was killing up this steep climb. He was running it all, while I did the classic fellrunning approach of hands on knees and power hiking. By now the slow drizzle had turned into proper rain and strong wind and I was questioning the lack of insulation and waterproofness of my Tyne Bridge vest. I was still trying to keep up, but halfway the climb decided to take my rain jacket out of my backpack. A lot of faffing around to put it on in wind force 7 and heavy rain, by now I was in third place. Kept nr 2 in sight and overtook him on the top, back to chasing the leader. The descent towards Haweswater starts with a gentle grassy hill and with the wind in the back it felt like flying. I felt I was keeping up and even imagined closing the gap a bit. Closer to Haweswater the slope steepens and I was not prepared for the wet grass and rocks. I had only recced this section in dry conditions, I made a few minor tumbles and one big one falling sideways on my left side. The leader was now out of sight. As I recovered from the tumbles and could not see him anymore, my mind started to think about settling for second. As we were not even 20 miles into the race I realised it was way too early for these kind of thoughts. Had another stop taking off my jacket (story of the day, faffing about with the backpack) and made it into the check point at the west end of Haweswater. This is the turnaround point of the Haweswater half marathon, another Tyne Bridge favourite! From Haweswater there is another steep climb (320m in 1.5 miles) towards Kentmere. I did as planned, fast hike while eating and drinking. As quite a few 100 mile runners had already past our starting point before our 11:30 start, the race included overtaking quite a few of them on the course. They were generally easy to recognise as they were going at an easier pace and most of them had poles. Was good to have short two word chats with them and shout encouragement. While going up the switchbacks on this rocky path I could see another runner behind me who was going a lot faster than the 100 mile runners I was overtaking, clearly a 50 runner. He almost caught me before the top, but I pulled away from him a little bit on the steeper more technical parts of the descent into Sadgill. However, there was another climb before getting to the next checkpoint in Kentmere and he overtook me on the first steep section. I kept him within sight, but at this stage he was clearly stronger on the uphills. The descent into Kentmere went well, did not miss the crucial turn off over the wall which we missed in the recce. Had a quick turnaround at the checkpoint and was still within reach of nr 2 climbing out of Kentmere. The section between Kentmere and Ambleside has a 300m and 100m climb in it. I struggled quite a bit on this section. I was looking forward to reaching Ambleside where there would be a lot of people cheering the runners on, including 10(!) people who were there just to see a tired Dutchman for about 20s seconds before he runs off. My legs were hurting more than expected on the downhills, especially the outside of my knee on the left side. At this stage I had not made the connection with my earlier fall and thought I was just struggling. I lost sight of the guy in front of me and entered Ambleside in a grumpy mood. Luckily the support there was amazing which really lifted my spirits. Ran back a few meters to make sure to kiss my wife, the marshals were great and lots of people were cheering me on. In my mind, this is where the race really started. The final 1/3 of the race coming out of Ambleside starts (again!) with a climb, but it is followed by a flat non-technical section. Beforehand, this is where I told myself to really make a push. However, I did not run up that hill as I did in training and the downhills still hurt. With nr 2 out of sight I was not in chasing mode, I was going slowly. It was then that I realised that the nagging feeling was only on my left side, so this couldn’t be purely from fatigue. I then connected this pain to my earlier fall. This made me reach for some Ibruprofen, which really helped later on. At the end of the downhill I was caught by another runner. Now my mind was really all over the place, I started with the ambition to win, I was now in 4th place, and not where I wanted to be. I ran the flat section with him, but as it started to rain again I decided to quickly stop to get my jacket out (not sure when I took it off!). This created a 200 meter gap. This is when I got back into racing mode. To my surprise I closed the gap very quickly which made me believe I was stronger than him. I caught up to him on a short downhill and when the road went up again he started walking while I kept running. Not looking back I was now pushing towards the next checkpoint at Chapel Stile. I only spent 20 seconds there, just dipping my chip and grabbing some cake on the go. Shortly after Chapel Stile there is a nice trail going up. I ran this fast during the recce and I ran this during the race as well. I had walked similar grades earlier in the race, good to feel strong again! Coming out of the valley there is a steep but short climb followed by a gradual descent towards an unmanned checkpoint. I did not look back as I wanted to put as much distance between us. Before the unmanned checkpoint there is a very boggy and overgrown path. The route wasn’t very clear here and I had gotten lost here during the recce. Beforehand, I thought I would lose some time and maybe a place in this section. However, at this point during the race I could now see the nr 2 ahead of me. He was already on the road and still several minutes ahead, but for the first time I was looking forward, not backwards. Made it through the bogs and onto the road, ready to chase. There is one small hill towards the final checkpoint. Again, beforehand I had imagined walking large parts of this climb. In full on racing mode I ran over 75% of this hill, I was quite happy with the speed in my legs as by now I had done about 45 miles. The descent into the Tilberthwaite checkpoint went well and the nr 2 runner seemed to be getting closer. Down the valley I could see coming out of the checkpoint shortly before me. The race record shows I arrived at Tilberthwaite 3 minutes after him. I apologised to the lovely marshals and explained that I had some chasing to do. The final 3.5 miles to Coniston start with steps and some scrambling on the very steep slope. Further along the climb the grade of the slope gets better. I could see the nr 2 just ahead of me, he was hiking a lot of the uphill section which made me determined to run these sections. By now my watch had run out of battery, so no glances on my wrist, just man vs man, Ambleside style. After cresting the top, the descent into Coniston starts with a very steep technical section. Again, beforehand I thought I would lose time here, but it turned out the opposite on race day. Nr 2 picked a wrong line, hopping down rocky steps while I took the outside line via the grass taking his second place position. The trail was still steep and rocky, but I summoned my inner Killian and bolted down hoping that my tired legs would keep up. A switch back onto a wider trail provide me with a glance back, I had created a small gap. I knew the final section into Coniston was very runnable, as my watch had died I could not tell you how fast I was going exactly, but I created a 1.5 minute gap in this final 1.5 mile. Running down the finish straight and seeing everyone after 8 hours of running was amazing. Over the duration of the race I had gone from leading, chasing the leader, falling, settling for 3rd place, finding my second wind when I dropped to 4th and fighting my way back to second, a 50 mile long rollercoaster. Upon finishing, all runners are being led through the food and bar area and are announced before entering. Every single finisher gets a massive round of applause which is really great. We spend another two hours there soaking it all in (and eating and drinking lots!) and cheering everyone on. Sharing stories with other runners is what makes this silly hobby so great and 100 mile runners had a lot of stories to tell. Both events were very well organised. Most checkpoints are run by people who have done that for many years, they keep on coming back. If you think that running a distance beyond 26.2 miles is exponentially harder, I’d like to say I don’t agree. The commitment and determination needed to step up from a half to a full marathon is harder than going beyond the marathon distance. If you’ve made the step from half to full, as a lot of runners have, the next step is not much further. 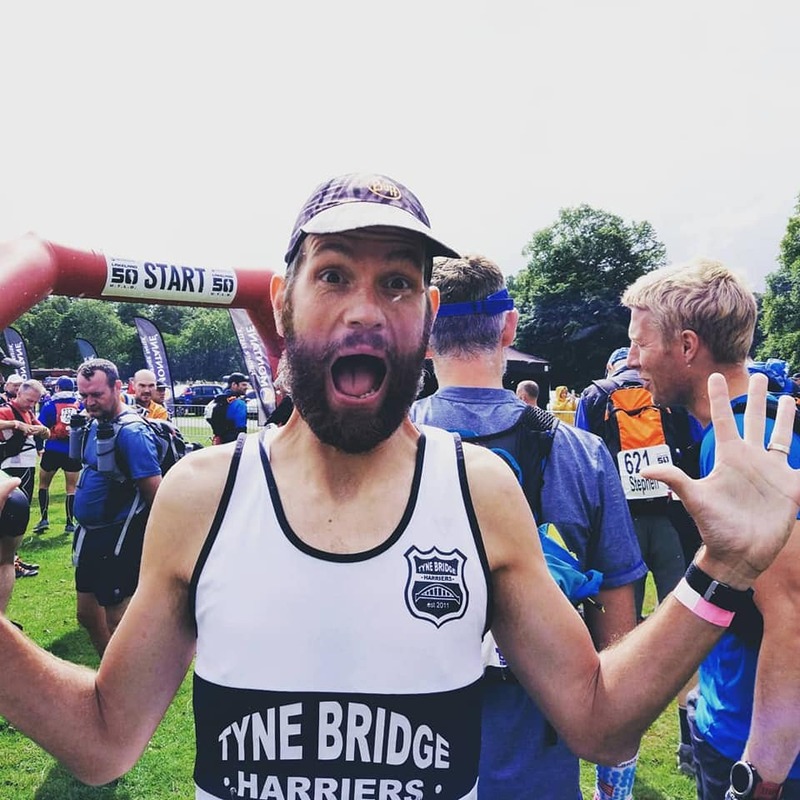 As you go at a more sensible pace, training becomes more relaxed (and easier on the legs, especially on the trails) and as you have plenty of time to eat during an ultra (I did not take advantage of all the food options, there was soup!) you never really hit the wall, you just keep on going. Amazing Cees. To run it and finish 2nd so soon after a 100 miler is incredible. Great read to. Well done Cees. Great write up. “Blushes” Thanks Si! Got 6 week plan for a 100k lying around by any chance? Fair play to you Cees that’s a fantastic race report very inspiring. Fantastic write up. Inspirational! Well done.